Diagnosing heart disease and/or heart failure in the dog and cat requires a combination of several different testing methods. Accurately diagnosing any disease or condition always begins with a thorough physical examination. A complete physical examination may uncover a symptom that suggests the possibility that your dog or cat is suffering from heart disease, such as a heart murmur (also seen in cats), evidence of fluid in the lungs or in the abdomen, or other signs seen with heart problems. Your veterinarian will also ask about your pet's history. Specifically, you may be asked whether your pet coughs, tires easily, sleeps more than normal, breathes heavily and similar types of questions. One of the most important diagnostic tests that can be done to diagnose heart disease in both the dog and the cat is a chest radiograph (x-ray). A chest x-ray can show abnormalities in the size and shape of the heart and large blood vessels that may indicate heart disease. A chest x-ray may also show evidence of fluid accumulation in the lungs, leading to a diagnosis of heart failure. Radiographs of the abdomen may show evidence of fluid accumulation in the abdominal cavity, known as ascites. This is a finding that can be seen in heart failure also. An echocardiogram is an ultrasonic examination of the heart. This diagnostic test allows visualization of how the individual structures of the heart are functioning. An echocardiogram can show disturbances in the natural flow of blood through the heart and indicate whether the valves of the heart are functioning normally. It can also be used to measure the dimensions of various parts of the heart and can aid in determining whether the muscle of the heart is contracting effectively. An electrocardiogram (EKG or ECG) measures the electrical activity of the heart. 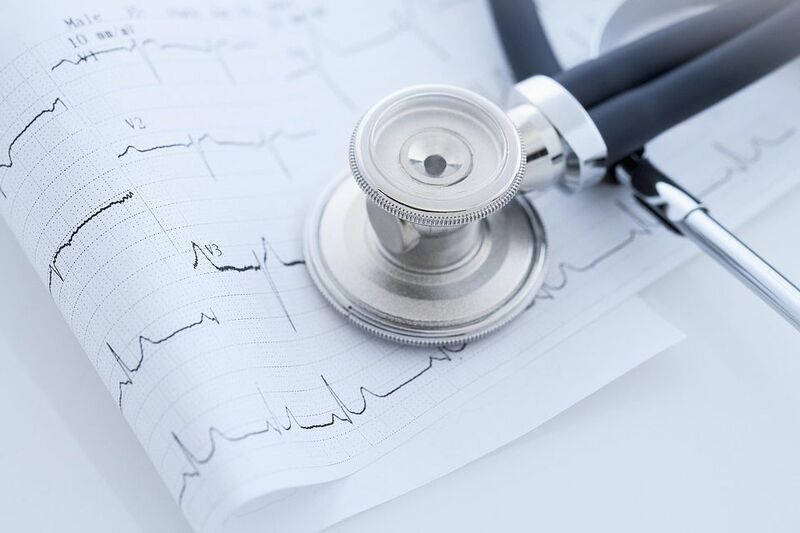 An electrocardiogram is the only diagnostic test that can be used to detect and diagnose heart arrhythmias (abnormal heart beats or rhythms). Arrhythmias can occur with many different types of heart disease. The Nt-proBNP test is a blood test which is done by some veterinarians to help determine whether signs are due to heart disease or respiratory disease. Some veterinarians believe it may also have some use of a means of predicting the prognosis of heart disease. Your veterinarian will likely want to monitor the blood pressure of your dog or cat if he has been diagnosed with heart disease. There is an increased risk of hypertension (high blood pressure) for these animals. Additionally, other testing may be necessary if an underlying cause of heart disease is suspected. Thyroid testing may be necessary if hyperthyroidism is suspected as a cause, particularly in cats. Heartworm testing may be recommended if heartworm infection is possible. Decreased taurine levels can cause some forms of heart disease and may be recommended. A culture and sensitivity may be in order if bacterial infection is suspected. A culture and sensitivity is used to identify the infecting bacteria and the antibiotic which is most likely to control the infection. In most cases, a combination of history, physical examination findings, and diagnostic laboratory testing* are necessary to accurately diagnose heart disease and/or heart failure in the dog or cat. * = Radiographs, echocardiogram, electrocardiogram and/or the NT-proBNP test.